[7 mins. 9 secs.] 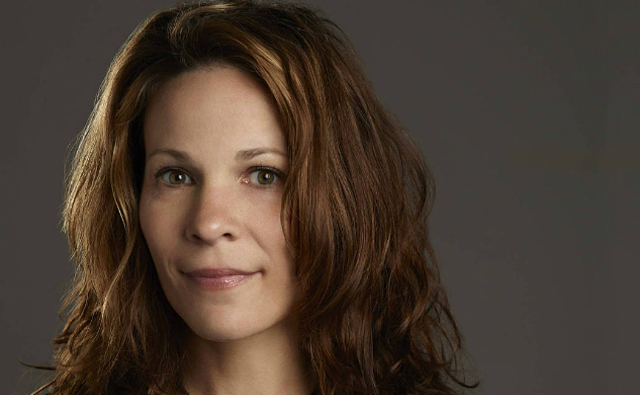 Lili Taylor ("The Conjuring") discusses "The Cold Lands". After his self-reliant mother (Taylor) dies unexpectedly, a boy (Silas Yelich) flees into the woods in shock. His nerves worn thin, he encounters a drifter (Peter Scanavino) and forms a wary alliance with the man. [32 mins. 25 secs.] The 43rd season of New Directors/New Films as discussed by programmers Dennis Lim of the Film Society of Lincoln Center and Jytte Jensen of MoMA Film. 1 hr. 7 mins. 4 secs.] Eliza Hittman returns to discuss the theatrical release of her feature film "It Felt Like Love". Lila (Gina Piersanti), a lonely teen from Gravesend, fabricates a story about dating Sammy -- a thug -- and becomes fixated on it happening. In a predatory way, she pursues a sexual encounter with Sammy, but she becomes the prey. [1 hr. 34 mins. 15 secs.] Matt Wolf discusses "Teenage". Teenagers didn’t always exist. They had to be invented. As the cultural landscape around the world was thrown into turmoil during the industrial revolution, and with a chasm erupting between adults and youth, the concept of a new generation took shape. Whether in America, England, or Germany, whether party-crazed Flappers or hip Swing Kids, zealous Nazi Youth or frenzied Sub-Debs, it didn’t matter – this was a new idea of how people come of age. They were all “Teenagers.” A hypnotic rumination on the genesis of youth culture from the end of the 19th century to the first half of the 20th, "Teenage" is a living collage of rare archival material, filmed portraits, and diary entries read by Jena Malone, Ben Whishaw, and others. Set to a contemporary score by Bradford Cox ("Deerhunter", "Atlas Sound"), "Teenage" is a mesmerizing trip into the past and a riveting look at the very idea of “coming-of-age.” Premiered at the Tribeca, Hot Docs, and London Film Festivals. Oscilloscope Laboratories and Soda Pictures released the film in US and UK theaters in 2014. The film was broadcast on Arte WDR and through Europe.